How do you feel about being the boss? If you’re like most parents I know, you don’t like the image but you’d like the reality. It would be so nice to have children just listen – just do what you ask – without feeling that you’re bossing them around, or beginning to sound like your own mother. A child dawdles and refuses to get dressed after being asked repeatedly, or he keeps taking away his brother’s toys, or he has a tantrum when he can’t get something he wants. The frustration and anger this arouses leads mothers to feel they should be able to do something to make the child listen, or behave. These feelings lead to the search for magical solutions – the “something” you can do that will make it all better. And that “something” often turns out to be Time-Out. Most mothers I know turn to Time-Out when they are feeling helpless in the face of children’s unacceptable behavior. The appeal of Time-Out is that it gives a parent something to do about the behavior, or at least the feeling they are doing something about it. The trouble is that one of a number of things seems to happen: the process of enforcing the Time-Out produces a battle of wills which escalates into something beyond the original problem; or children comply with the Time-Out, but it has no effect on future behavior. 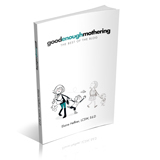 Mothers often begin to feel uncomfortable about the repeated use of Time-Out that is not solving the problem. Parents may feel powerless, but in children’s eyes they are all powerful. Young children do not as yet have adult ways of being heard, so they protest with behavior that is often primitive and angry. They are defiant, they have temper tantrums, they yell, cry, or at other times just don’t hear and keep doing what they want to do. This behavior is very provocative not only because it defeats our own wishes and is unpleasant to deal with, but also because it tends to stir up angry and aggressive feelings in ourselves. The socialized, civilized veneer of adulthood is disrupted by children’s uninhibited expression of feelings, and parents too often find themselves operating on the same level. After all, the “I want what I want when I want it” feeling is still there – not too deeply buried in most of us – and its unabashed expression by our children feels somehow threatening. THIS BEHAVIOR HAS TO BE STOPPED! So children’s protests bring out parents’ anger and the impulse to punish, to show who is boss. And the fact is that Time-Out is most often used as punishment and experienced as punishment by both mother and child. Sometimes people talk about Time-Out in terms of teaching children what is expected; but the phrase, “this will teach him a lesson” is closer to the reality of parents’ feelings when they resort to Time-Out. The fact is that Time-Out most often turns out to be about power – who is going to win. The idea is that the power struggles between parent and child will be solved by parents showing that they are more powerful. Unhappily, instead, parents are often left feeling defeated. At times, Time-Out itself leads to a bigger power struggle than the original one. Then what? Besides, mothers have often told me that they don’t like relying on power as a way of solving conflicts with their children. They themselves are conflicted: they don’t like the picture of themselves being “boss”, yet find themselves feeling that children “should do as they are told”. Our own mothers’ voices are still inside our heads. These conflicts with children can evoke feelings from our own childhood, feelings of not having had a voice, of not being heard, of powerlessness. Now mothers may feel like both parent and child at the same time. They don’t want to be the helpless child but neither do they want to be the bossy parent. They want something that will make the unacceptable behavior go away, but time-out magic doesn’t seem to work. Does this mean there is nothing to be done about unacceptable behavior? No, it just means there is no magical solution. We often talk in terms of children needing to “learn to behave”. If we think in terms of learning, then that makes us teachers. But what is the most effective way to teach? Is punishment the most effective teacher? When we are frustrated by a child’s behavior we begin to feel the need for punishment – a consequence for the behavior. Unfortunately, discipline has come to take on this meaning. In fact, the impulse to punish is more often an expression of adult anger than it is a useful method of teaching. One thing we do know about teaching and learning is that it takes time. It’s helpful to think about learning in school as a reminder that children don’t learn reading, writing or arithmetic in just a few lessons. (Do we think about punishment when a child has a hard time learning the 3 r’s?) Yet somehow we forget to apply this understanding to social learning – the development of social behavior – which, like academic learning involves mastering a number of skills. Parents often feel that once a child understands what is expected he should comply. Understanding, however, is only the first step. More difficult for a child is learning to control his impulses. More difficult still is giving up what he wants for what his mother wants. Remember, to a child a parent’s wishes are not inherently more important than his own. So how do we help him learn to be cooperative and mindful of other people? Author Elaine HeffnerPosted on November 15, 2010 Categories ConflictsLeave a comment on What About “Time-Out”?